Measure a garment that fits your child well, preferably one that is woven rather than knit so that it does not stretch. Compare it to the measurements that we have provided for you in each product description. All of our measurements are taken with the garment lying flat, front down according to the diagram below. 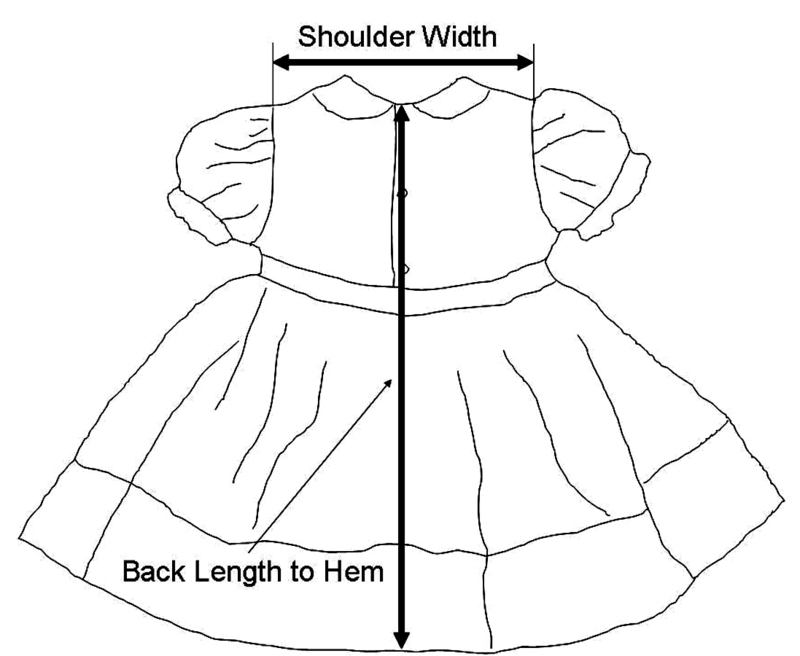 For babies, toddlers, and little girls dresses, we measure the shoulder width from shoulder seam to shoulder seam and the back length from the back neckline (top of the fabric) at the center of the garment to the hem (bottom of the fabric). If there is a ruffle or lace trim, we include it in the measurement. 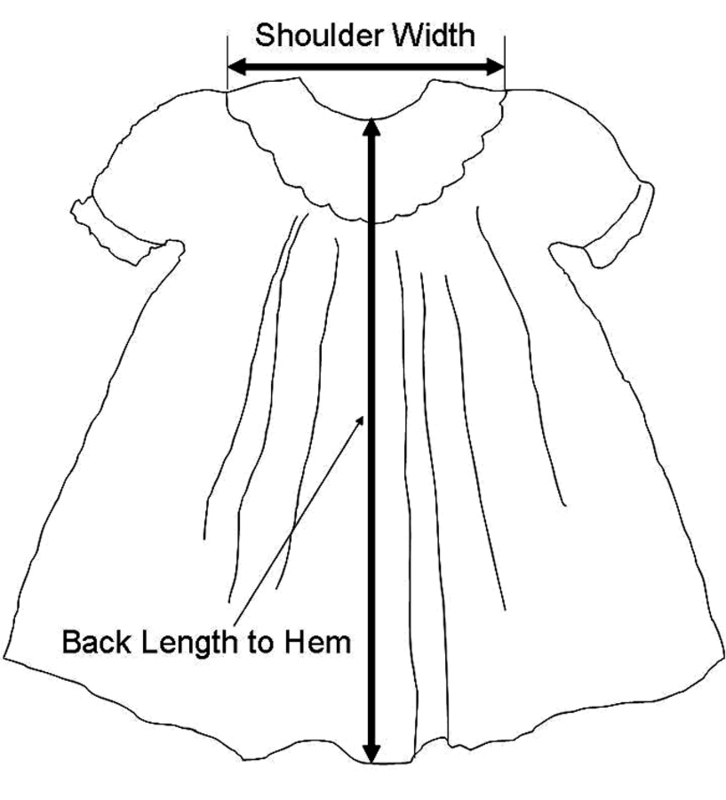 For bishop style dresses, we measure shoulder width from the outside edges of the yoke or smocking because there are no true shoulder seams and the back length from the back neckline (top of the fabric) at the center of the garment to the hem (bottom of the fabric). If there is a ruffle or lace trim, we include it in the measurement.